Inside: Naak Cricket Energy Bars, one of the most sustainable sources of protein out there. It’s one of the hottest trends, being deemed the new lobster and definitely growing in popularity, would you dare try it? Cricket protein is definitely a novelty for us in North America, but it’s been part of traditional cultures for thousands of years. Cave paintings in Northern Spain dating back to 30,000 BC depict a collection of edible insects. And in fact, over 2 billion people worldwide consume insects as part of their regular diet. To be completely honest, we were definitely hesitant at first but as foodies that are into novelty and trends, trying out a sports bar made with cricket powder, dates, cacao powder and chia seeds somehow made it so much easier to swallow. 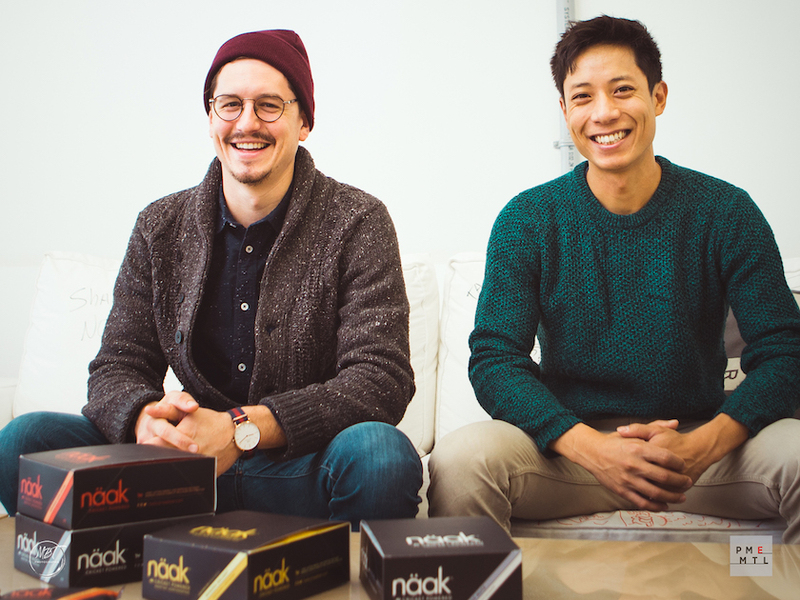 And that’s how we met the founders of Naak (a Montreal-based startup) Minh and Rodolphe. Naak bars were specifically designed by athletes for athletes that are looking for a more sustainable source of protein to meet their needs. The nutritional value of Naak bars helps to meet the endurance athletes’ needs, in terms of energy and recovery, before, during or after exercise. Why crickets? Well, they’re an excellent source of complete protein, many vitamins and minerals and their farming requires far less resources than other traditional animal protein, such as meat. So, today we’re sitting down with Co-founder, Minh Pham to tell us a little bit more about how Naak got started and what plans they have for the future. 1) Guys, it was great to meet you and discover your energy/sports bars at the CHFA East. We had the guts to try the alternative protein source made from cricket powder. That was definitely the highlight of the show for us. Could you tell us a little bit about your story and where your inspiration came from? We are two friends and green athletes. In 2016 we qualified for the world triathlon championships and this was when we began to really reflect on the role of nutrition in sports. We were looking for a sustainable and healthy way to stay energized and perform better during training and competitions. As we failed to find a product that matched our criteria, we realized that there was still so much to be done in sports nutrition. One of our friends told us about cricket and we immediately started looking into it. Cricket is rich in protein and other nutrients such as vitamins and minerals, and its production requires very few resources. This is how we got our idea of cricket powder energy bars! 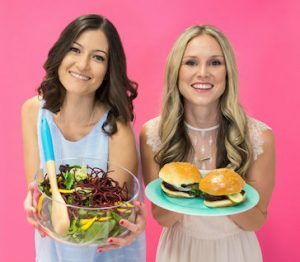 2) Our name says it all, at The Naughty Nutritionists we don’t like to place restrictions on eating, we rather focus on finding the healthiest version of the foods we love and creating balance in our lifestyles. And, that is why we enjoy desserts, chocolate and the occasional glass of wine without the guilt. At Naak, what would you say your motto is? We feel the same way at Naak. 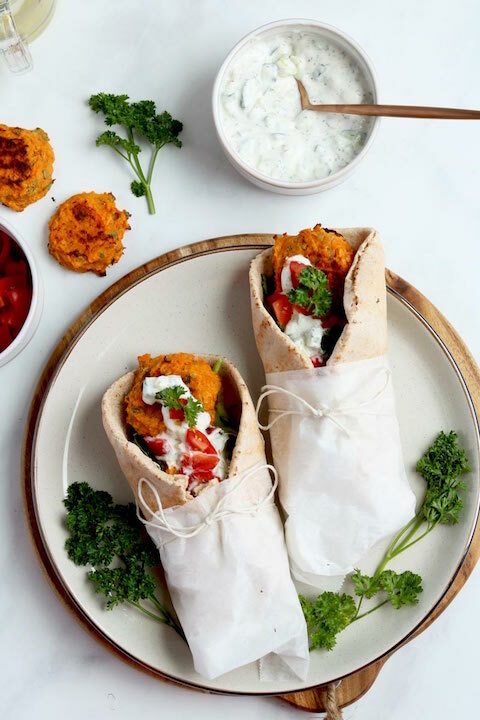 We believe that it is possible to have an eco-friendly and responsible diet but also to enjoy it and treat ourselves! This is why we are trying to make insect consumption (also known as entomophagy) more attractive and tasty. 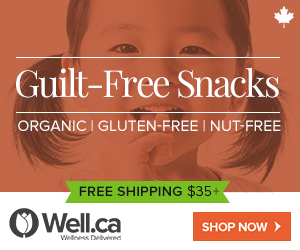 Our energy bars are not only sustainable and healthy, but they also taste great. 3) There’s so much we want to know about the whole process. Can we start with where does your cricket powder come from and where do you source all your ingredients? Our cricket powder comes directly from a farm in Ontario, called Entomo Farms. The crickets live in conditions that are very similar to those they would have in nature, and are only harvested at the end of their life cycle. The energy bars are manufactured in Quebec and most of the ingredients come from Quebec, except the dates which come from Iran. 4) We have heard that crickets are one of the eco-friendliest sources of protein. Can you tell us a little bit more about this impact? Crickets’ lifecycle is very short (approximately six weeks), their farming requires little space and the entire cricket is used for making the powder, which means few resources are needed and minimal waste is created. For example, let’s compare resources required to produce the same quantity of cricket protein versus beef protein. Cricket needs 2000x times less water, 100x less CO2, 13x less space, and 12x less feed than beef. If the entire American population ate cricket instead of beef, this could save 185 trillion liters of water, 52 billion pounds of CO2, 2 200 000 km² of space, and 218 million pounds of feed. 5) As Nutritionists, of course we are very curious to learn about the nutritional benefit of cricket powder. What are the main nutrients that we can get from crickets? Cricket is a superfood! It is high in protein, calcium, iron and omega 3. Indeed, cricket has 2 to 3 times more protein than beef, 1.6 times more calcium than milk, 2 times more iron than spinach and as much omega 3 as salmon. Cricket also provides fibre, potassium and vitamin B12 which are other important elements of a healthy and balanced diet. 6) What is next for Naak? 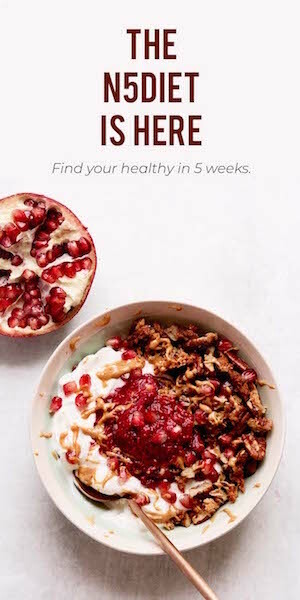 Are you planning to release additional flavours or any additional products? We have recently started selling our own cricket powder! 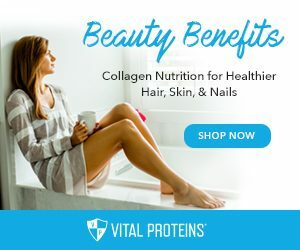 It has been very successful as it is very easy to use and adds protein to any recipe. We have been posting recipe ideas on our blog such as chocolate cookies and spicy hummus. We have also been working on improving our bars by altering the recipes and rethinking the format. 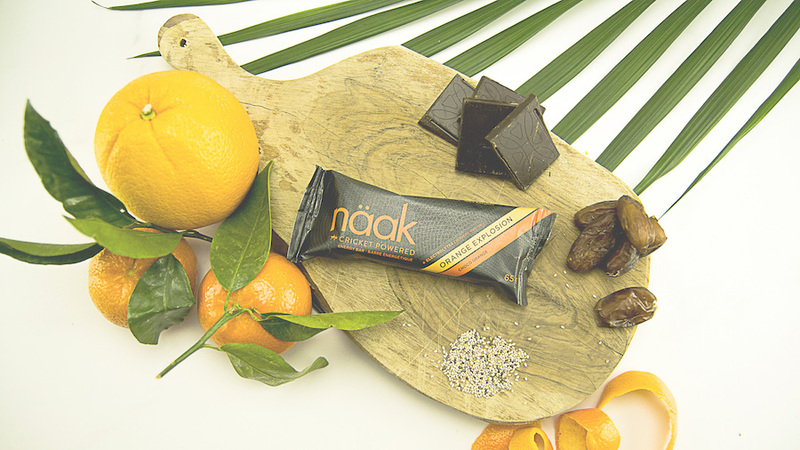 The aim is to make Naak bars more accessible to everyone, by maintaining a short list of natural ingredients and providing essential nutrients whilst making the bars taste better! A new fruity flavor might also soon be released. 7) Mmm Yum! So, where can our readers find and buy your bars? 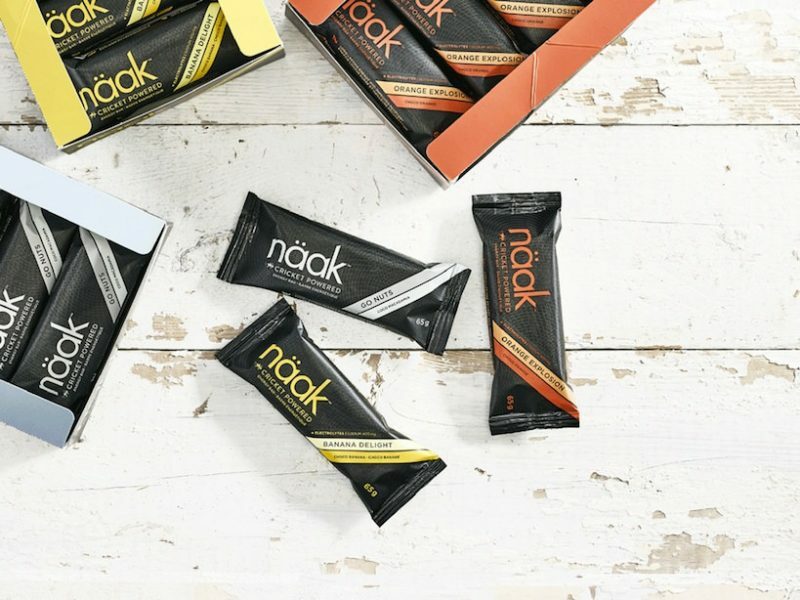 Naak bars are sold in many health grocery stores and sport shops in Quebec, and have recently started being distributed at MEC. They are also available online at naakbar.com and also on Amazon. 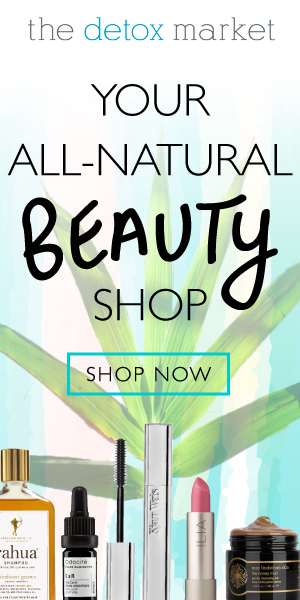 Check out the store locator on our website to find the closest retailer!